History – HIDDEN PEAKS COFFEE & ROASTING CO.
Hidden Peaks Coffee & Roasting Co. was founded in 1989 by Roger Hansen. At that time Roger had spent thirty years working in the hospitality, food and beverage industry and he wanted to take a little more control of his life so he started a coffee roasting company. 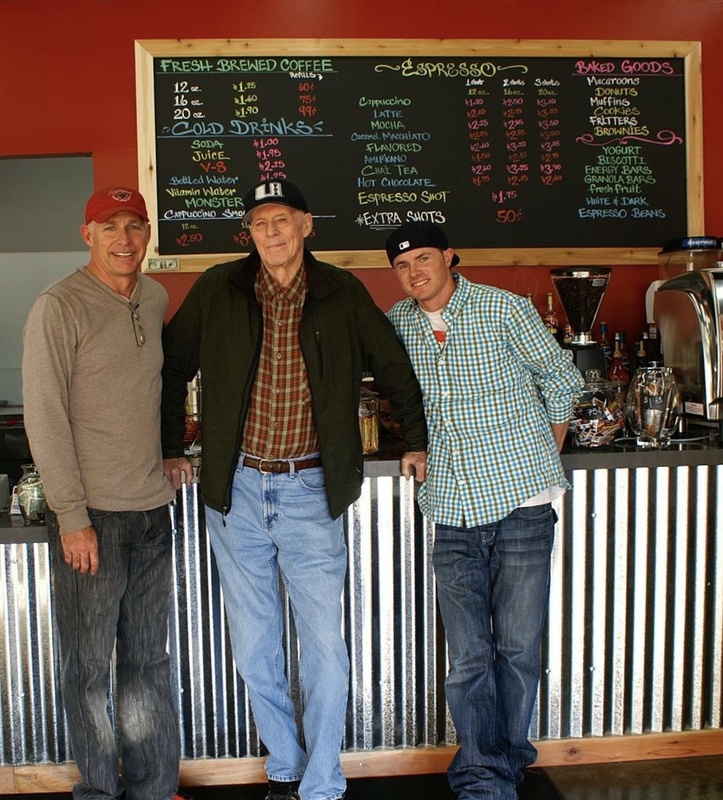 In the past twenty nine years Hidden Peaks Coffee & Roasting Co. has grown from a mom and pop operation into a well established company with sales over ten times the budgeted expectations. As the business grew Roger’s son, Derek Hansen, came in with his sales experience and business skills to help the company expand into what is today. Sourcing, roasting and delivering gourmet coffee is our passion and we dedicate our time to responding to the needs of our customers. Roger has spent thousands of hours perfecting the art of roasting and blending the beans to come up with the best tasting coffee. For the past thirteen years Derek’s son, Tyler Hansen, has been learning the craft of coffee roasting under his grandpa Roger’s watchful eye. He is now an experienced master-roaster that creates small batches of excellent coffee sourced from premium beans. Hidden Peaks Coffee and Roasting Co. is a family owned business we all have the same drive and determination to make sure quality is our top priority. We spare no expense and cut no corners in making sure every bag of coffee we sell is roasted to perfection. Our fluid bed hot air roaster assureds a consistent roast every time and the quality is then checked by cupping each roast. Our experienced brokers travel around the world and personally hand pick the beans that we use in our coffee blends from the finest plantations. We put all of our love and effort into creating an excellent cup of coffee, and enjoy a good relationship with our customers. We have no debt service and we own all of our equipment. This enables us to pass the savings on to you. Our goal is to provide the highest quality product at the best possible price. I’m reaching out to let you know that I have a billboard becoming available north of your roasting company on 3695 S Redwood. The billboard receives over 22K audited impressions a day and I can also get Hidden Peaks an aggressive discount as a first time client. I work with Beans and Brews and Java Joes also runs seasonal campaigns for us. Let me know if you have 20 minutes next week so I can swing by to show you pricing and try your coffee! Just wanted to let you guys know you are the best in town. The place for coffee. Thanks for doing what you do. Thank you….. We love what we do and are proud to be coming up on 30 years of fresh roasted gourmet coffee. Glad you are along for the ride.